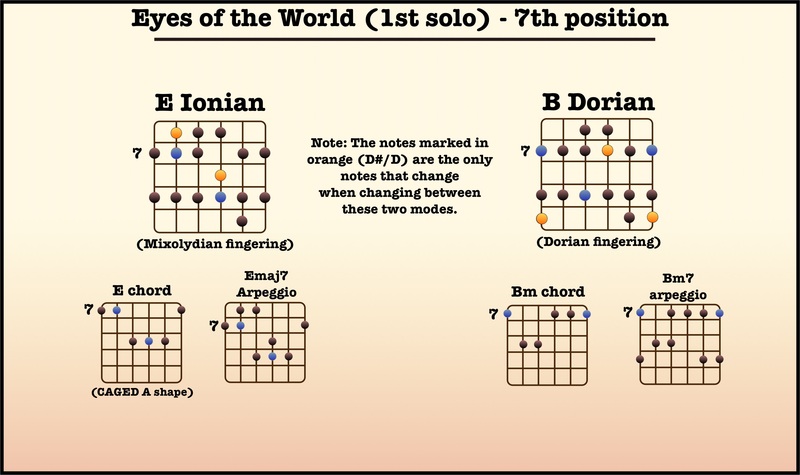 This solo switches between Emaj7 and Bm(7), two bars each. 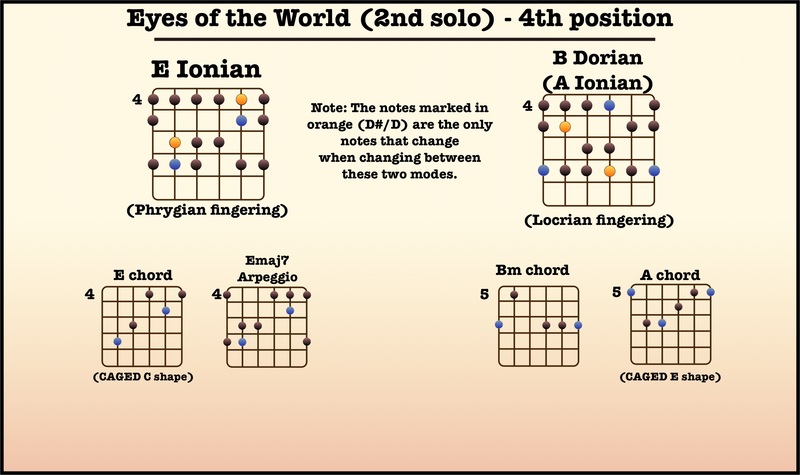 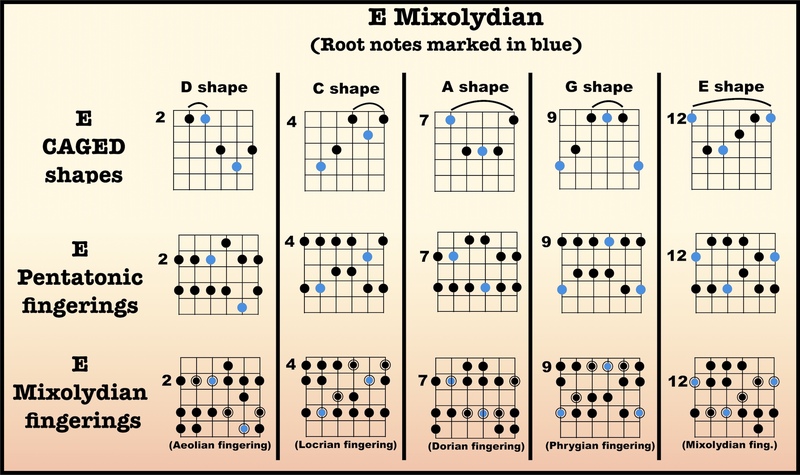 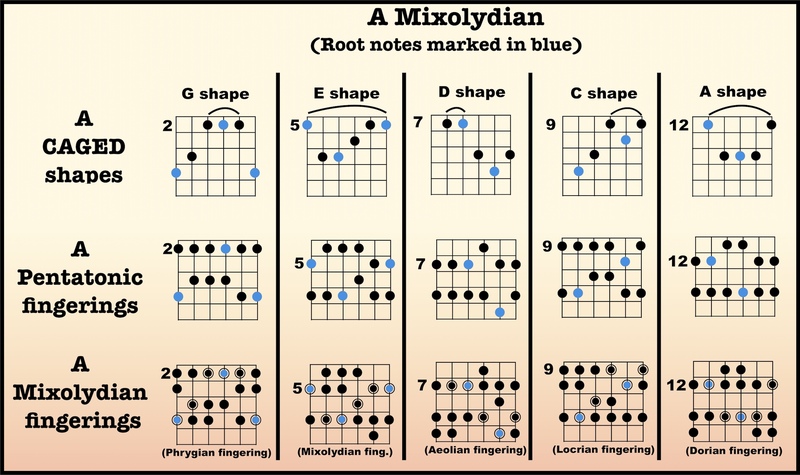 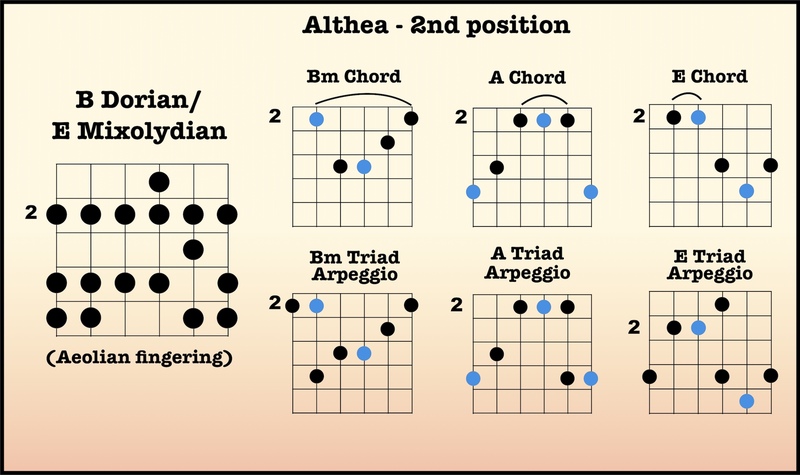 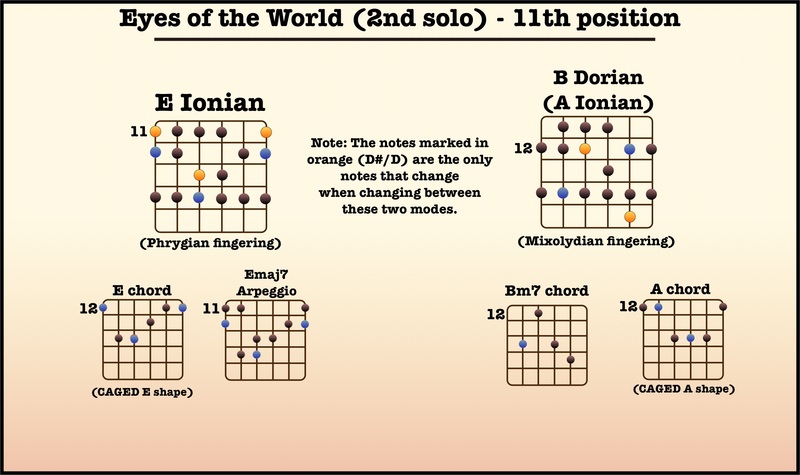 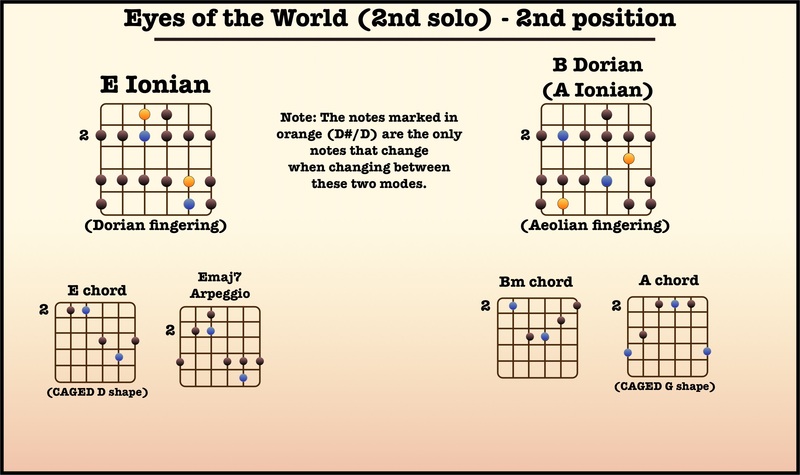 Each chord calls for a different mode (E ionian and B dorian), but the good news here is that only one note actually changes when switching modes. 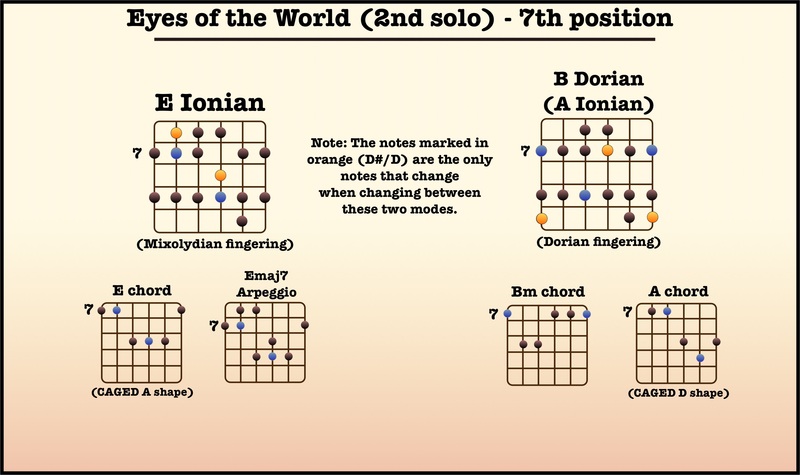 The D# (which is the maj7 of the Emaj7 chord) changes to a D (which is the minor 3rd of the Bm chord). 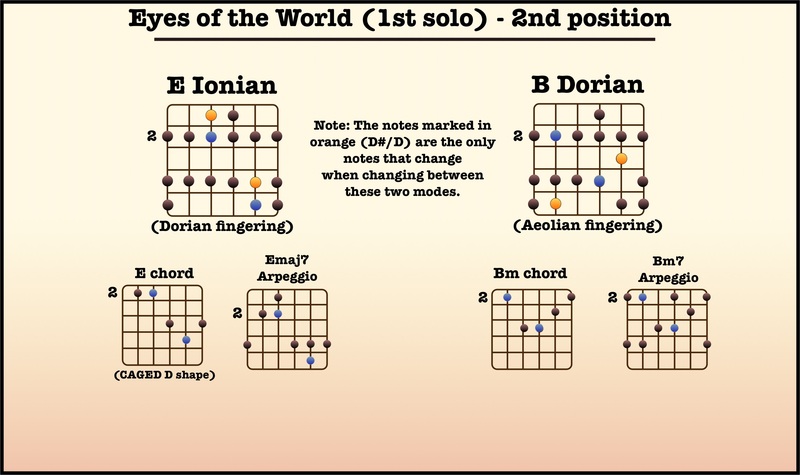 One suggestion would be to target that specific note just as the chord changes. 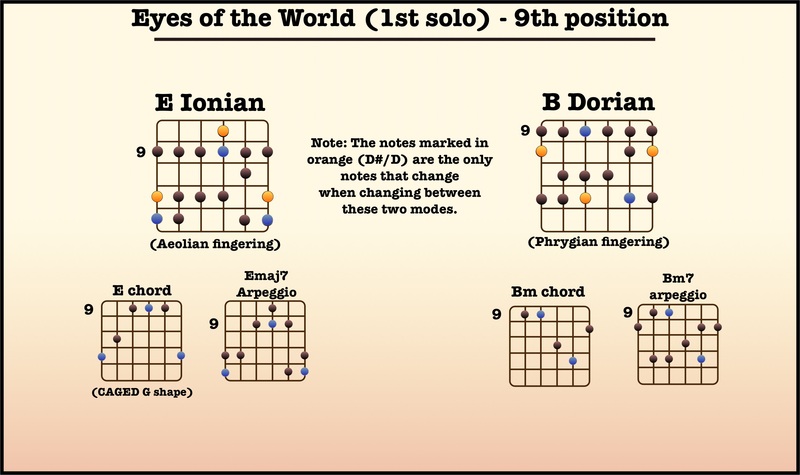 But you can also try other approaches, such as playing off of the common tone (B) between the two chords or notes that are friendly to both, such as the F#. 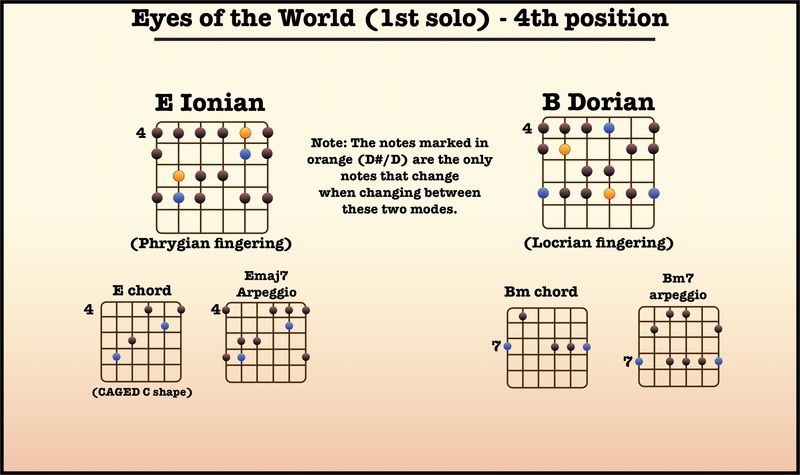 This solo isn’t too much different than the 1st “Eyes” solo. 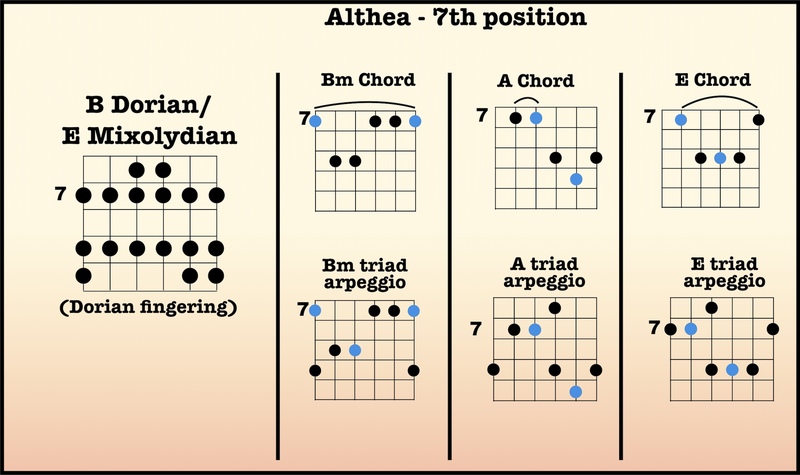 It starts on Emaj7, then moves to Bm7 and then A. Fortunately, the Bm7 and A chords belong to the same mode, so you don’t need to add a 3rd mode to your bag of tricks. 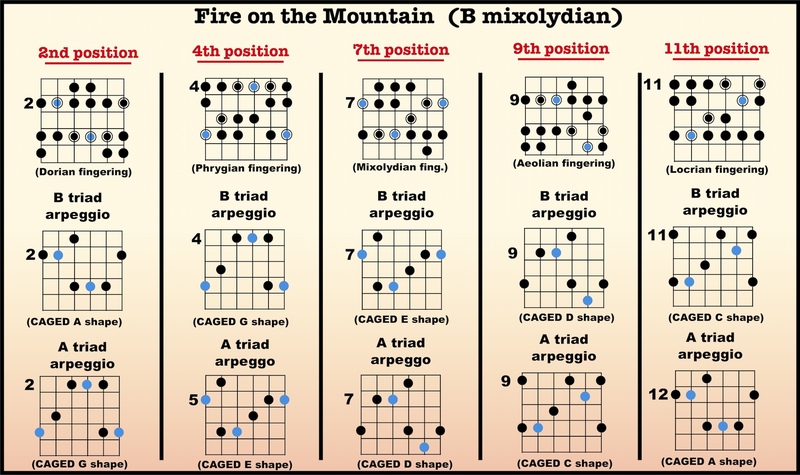 But you will find that you do need to target chord tones of all of the chords to really sound like you know what you’re doing. 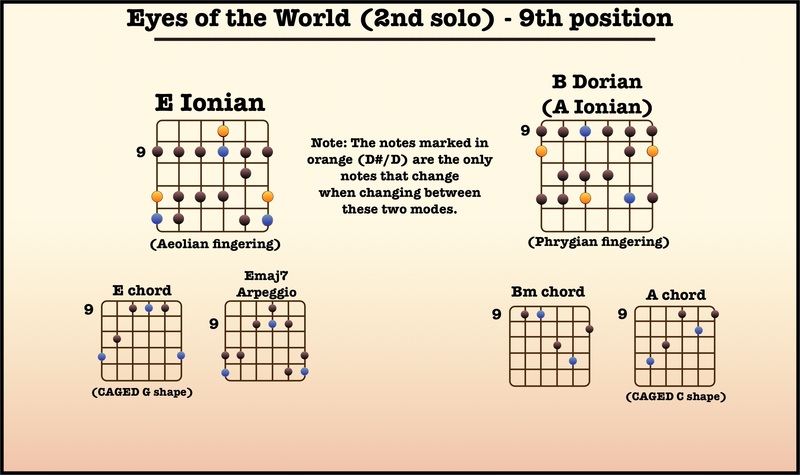 Think chord tones first, then think of the mode that fits around the chord tones. The good news here is that the notes that make up each of those modes are exactly the same. 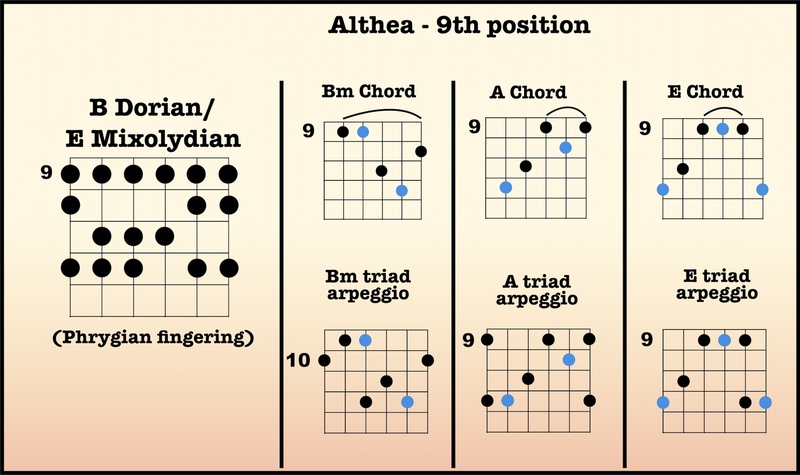 But as the chords change, you’ll find that it’s important to target the notes that belong to each chord. 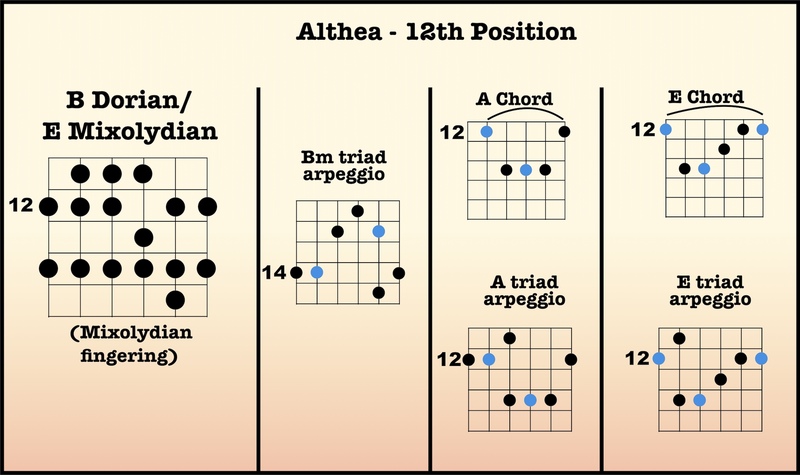 I suggest you work on each position for a while–stick to one position and learn where all of the chord tones are for each chord within that position (this is the perfect application for the CAGED system). 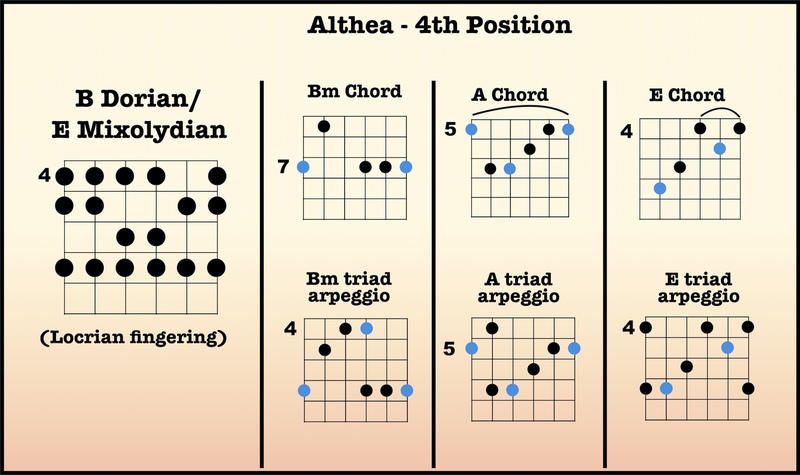 Use those chord tones as your target points, and see if you can stick the landing…nail those target tones right as the chord changes.